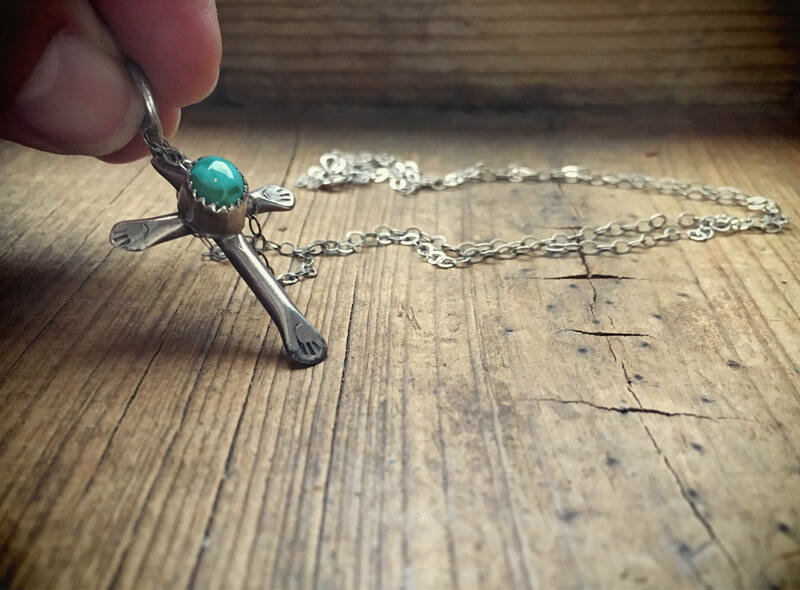 Here we have a lovely small silver cross pendant with a largeish (given the size of the cross) cabochon of beautiful blue-green turquoise set in a sawtooth bezel. 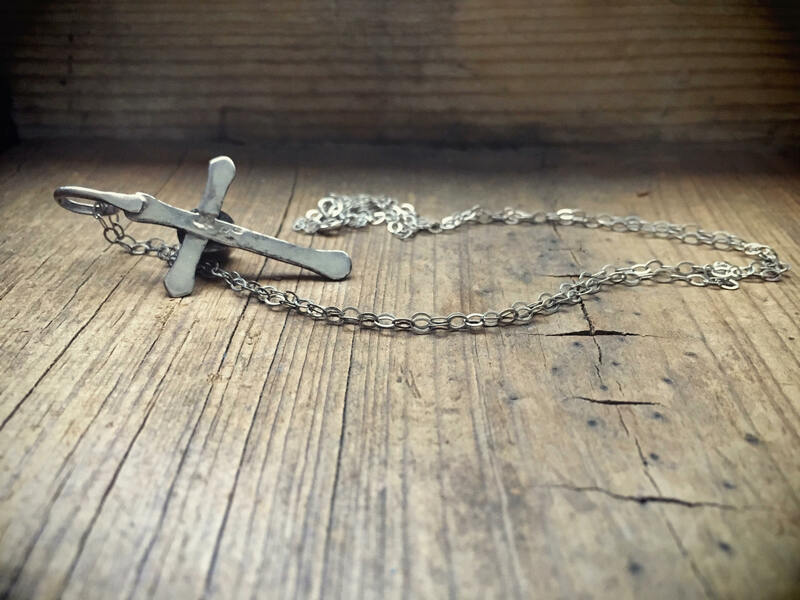 The cross is hand shaped and hand stamped on the ends in an almost primitive way. 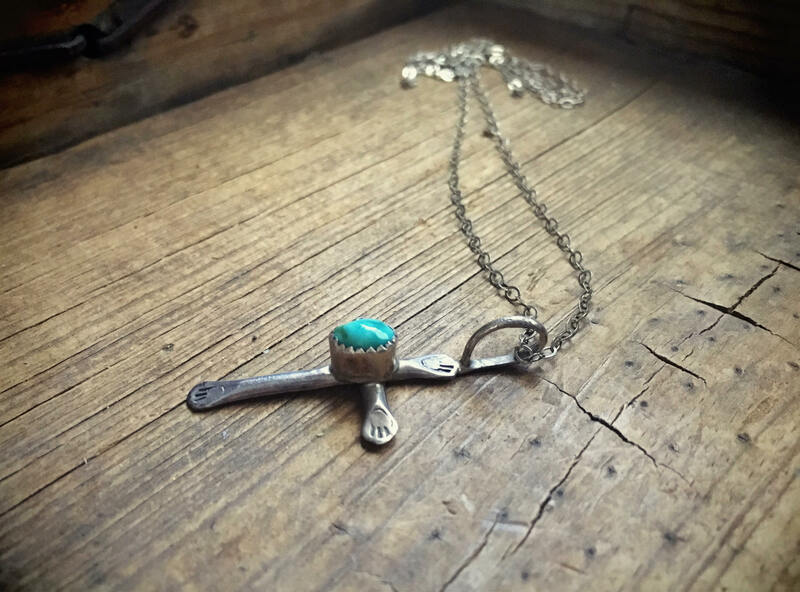 And what I truly love is the creamy color of the turquoise. Because this is unsigned, we cannot say with certainty that it is Native American. 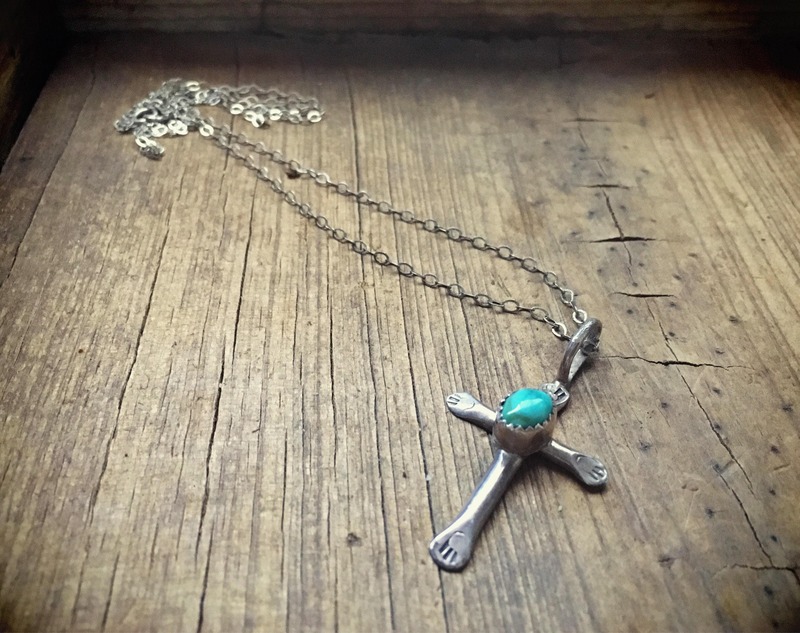 However, we believe it is Zuni or Navajo. 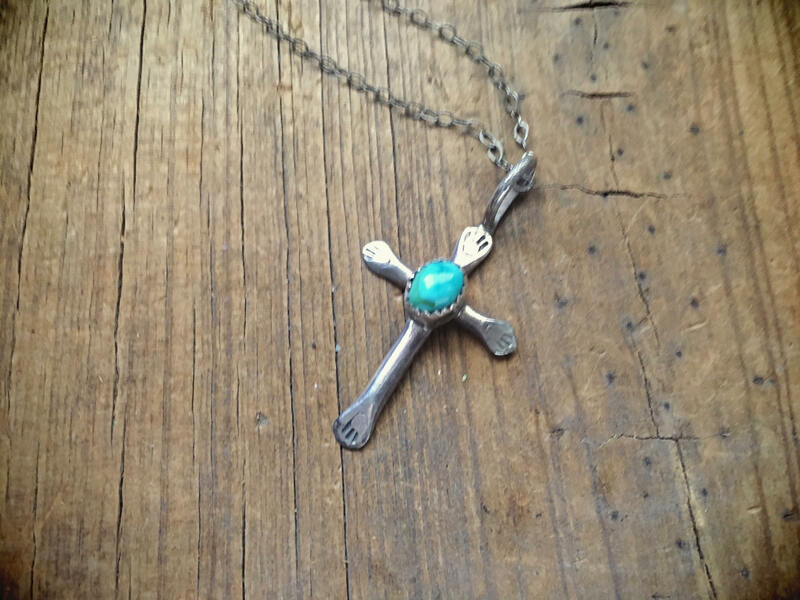 The cross measures just under 1" across by about 1-3/4" tall including the rather large eye hook. At about 3/8" long, the eye hook would allow for a thick chain but it is being offered with the rather dainty 24-1/2" chain with which it came. 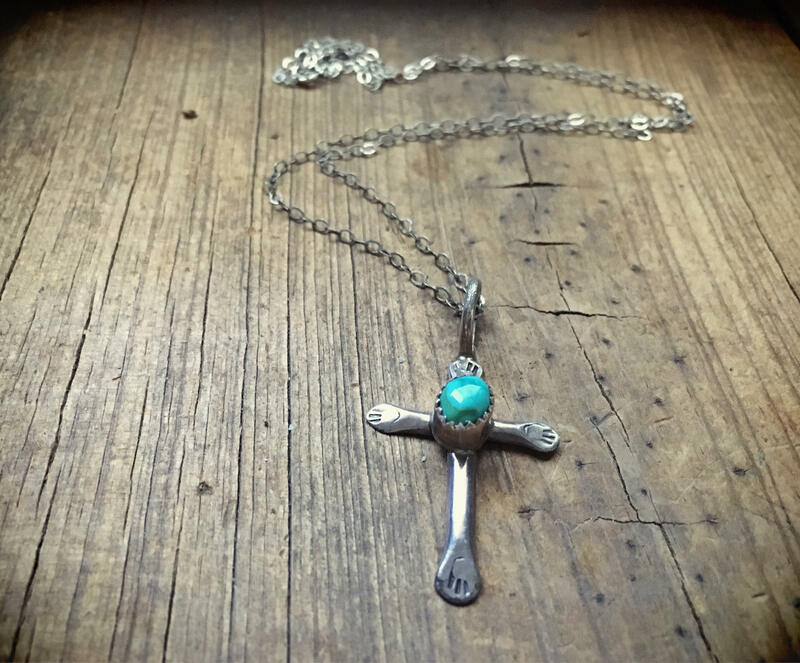 The cross is in good vintage condition. A small piece with presence.